Extended, single-take shots are like a magic trick. As moviegoers, our eyes have grown so accustomed to jump cuts and other editing techniques that when a single take goes on for more than 60 seconds, we become a bit mesmerized. For the first time, the film is reflecting what it’s like to experience the world through our eyes—in one long, uncut shot. We no longer have to fill in any gaps in information. For a long time, these types of shots were the hallmark of auteurs, with Orson Welles’ Touch Of Evil being the classic example. But a new piece from The Ringer explores the renaissance of “the oner,” which has found new life thanks to some adventurous directors of blockbuster action movies. Using examples from Black Panther, The Last Jedi, and Creed, we can see that these new action-forward long-takes need more than just a camera dolly and an experienced cinematographer. They really come together in the edit bay. Most “single-take” shots we see these days—like the famous six-minute raid in True Detective or Clive Owen’s frantic escape through the dystopia of Children Of Men—are actually multiple shots digitally stitched together. When done correctly, the mesmerizing effect is the same, and is all the more disruptive in CGI-heavy superhero movies. “Big franchise action movies increasingly rely on fluid camerawork to smuggle some of the visceral reality that has been slowly vacuumed out of moviegoing,” notes The Ringer. 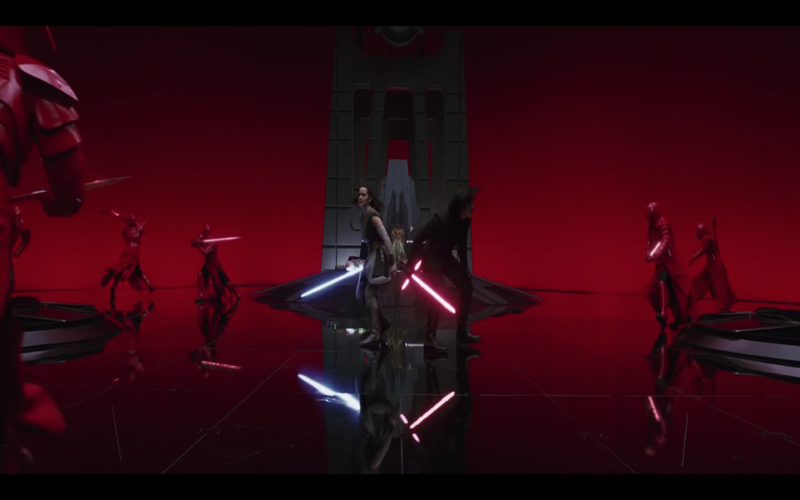 Even a film like The Last Jedi—which makes no attempt at realism—suddenly feels very real during those extended, expertly choreographed shots of the fight in Snoke’s throne room. Of course, these new, digitally constructed oners don’t always work. The opening shot from Avengers 2: Age Of Ultron follows our core group of heroes as they cruise through a snowy wilderness, besting faceless baddies and blowing things up. But there’s nothing in the camera work that suggests we’re watching something real that’s being filmed by a human being. We know there’s no forest. We know there’s no Avengers. There’s never really any danger. That human element is really what the success of a long-take action shot hinges on. It’s a chance for the filmmaker to make their audiences feel like they’re watching something real, through their own eyes, even when they know in their brains that none of what they’re seeing is possible. You can read the full article—with no cuts—here.